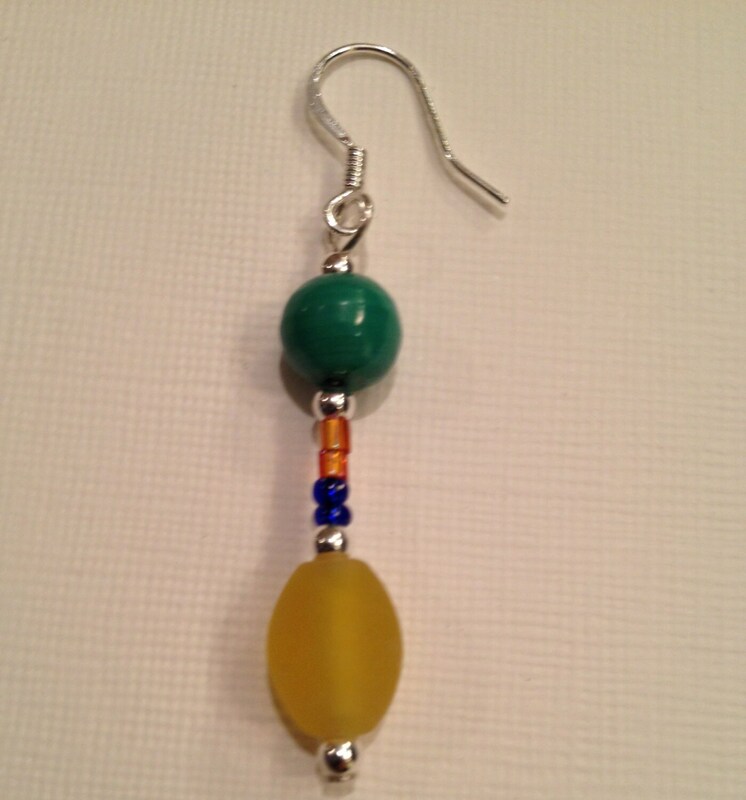 Fiesta Design - Earrings with multi-color glass and gemstone beads. 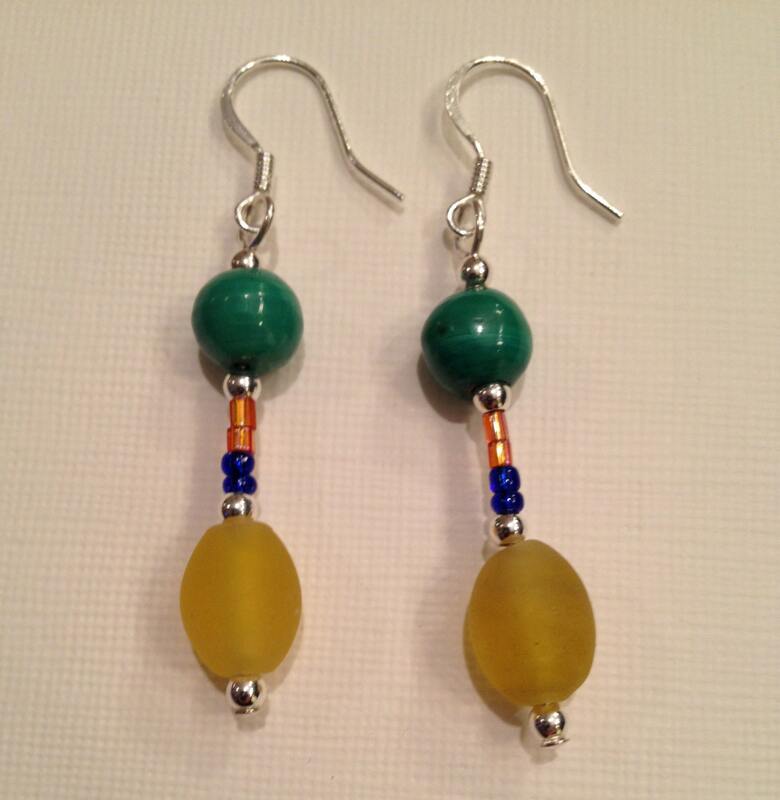 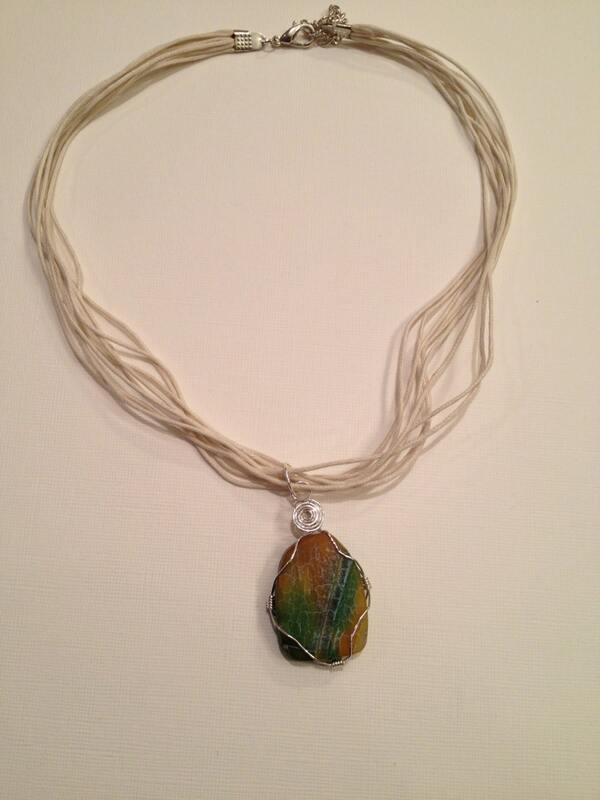 This is made with yellow glass, green gemstone and seed beads. 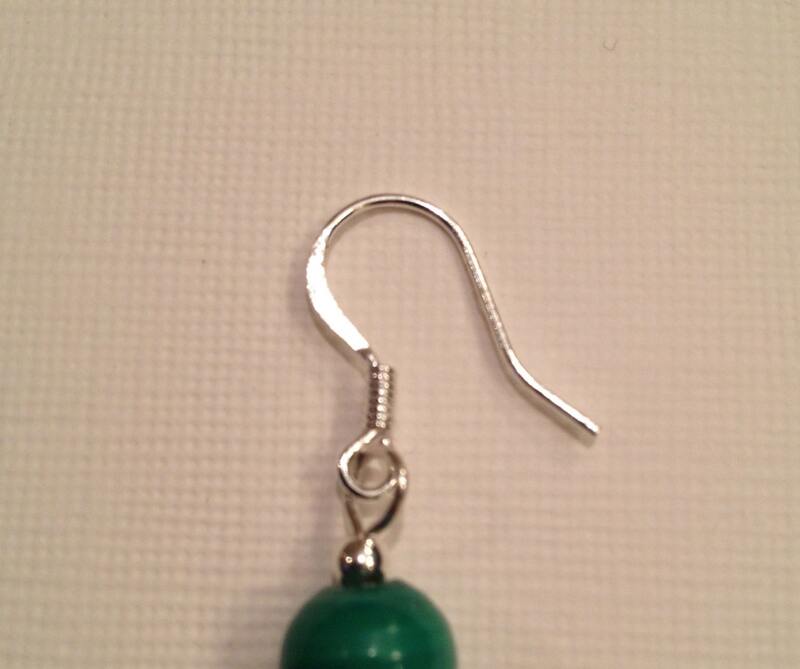 These earrings measure about 2.25" long and finished with a silver-plated earring hook.